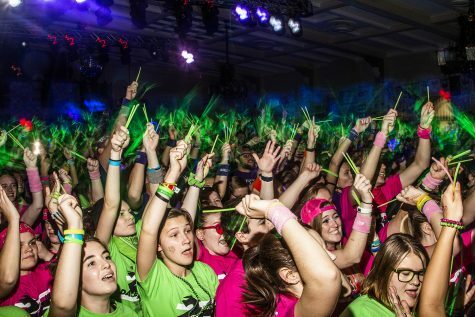 The first aid office at Dance Marathon is working hard to keep dancers safe. 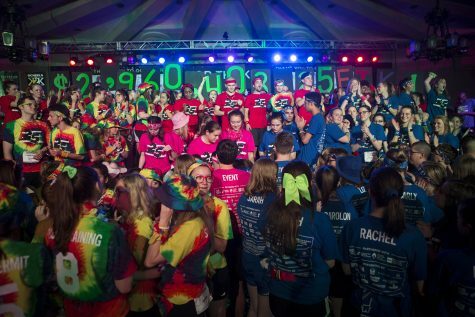 If there was an unsung hero of Dance Marathon, it would be the first aid officers. The team working the 24-hour event is a combination of volunteers from the nursing program and EMTs (Emergency Medical Technician) from the University of Iowa Emergency Medical Services. 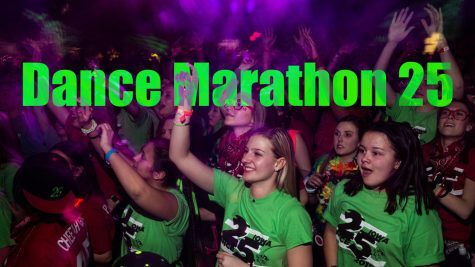 The main problem the first aid office sees at Dance Marathon is exhaustion or dehydration. “Normally it’s somebody who’s been going for 10 hours who’s not used to going for 10 hours,” Finch said. 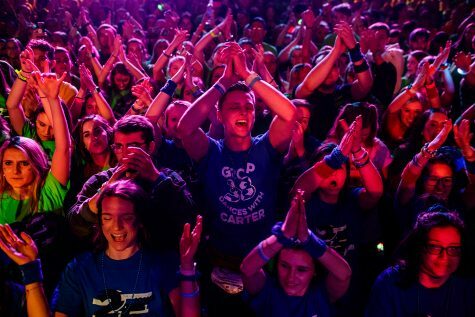 However, this is not the worst year for cases of exhaustion, said Mason Umphreys, who has worked at the Dance Marathon first aid office for three years. 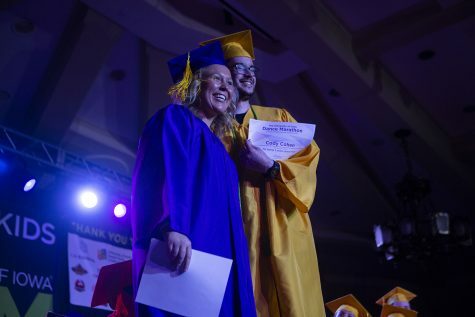 The most serious cases of the night have been dehydration, bumps and bruises, and a partially removed picc-line from the arm of a young student, all of which required a paramedic or doctor. These dancers were either sent home or to the hospital. There have been around 20 of these emergency cases. This doesn’t scare nursing program students Heather Rickord, Jessica Stonis, and Maggie Wilhelm, who volunteered together. The three friends even joked around about signing up and the strangest cases of the event. All three agreed the most interesting case was the dancer that wanted to tape their toes. 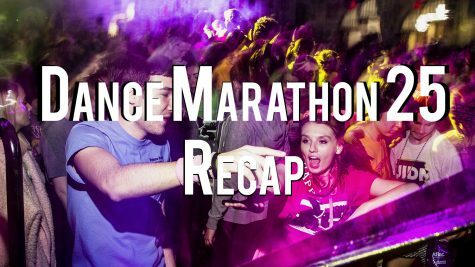 The three nursing students viewed Dance Marathon not only as an opportunity to bond, but to gain experience. 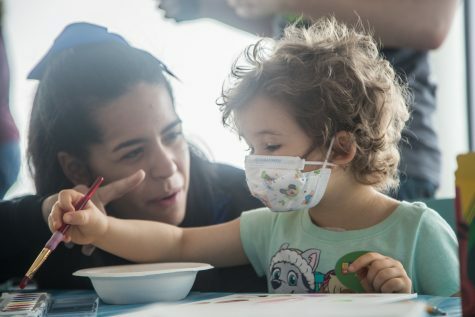 Not only are the nursing students gaining experience, but they’re supporting a case they believe in. All three girls have participated in Dance Marathon as dancers before, and were excited to support the event in a new way.